The publication „Krzysztof Wodiczko. 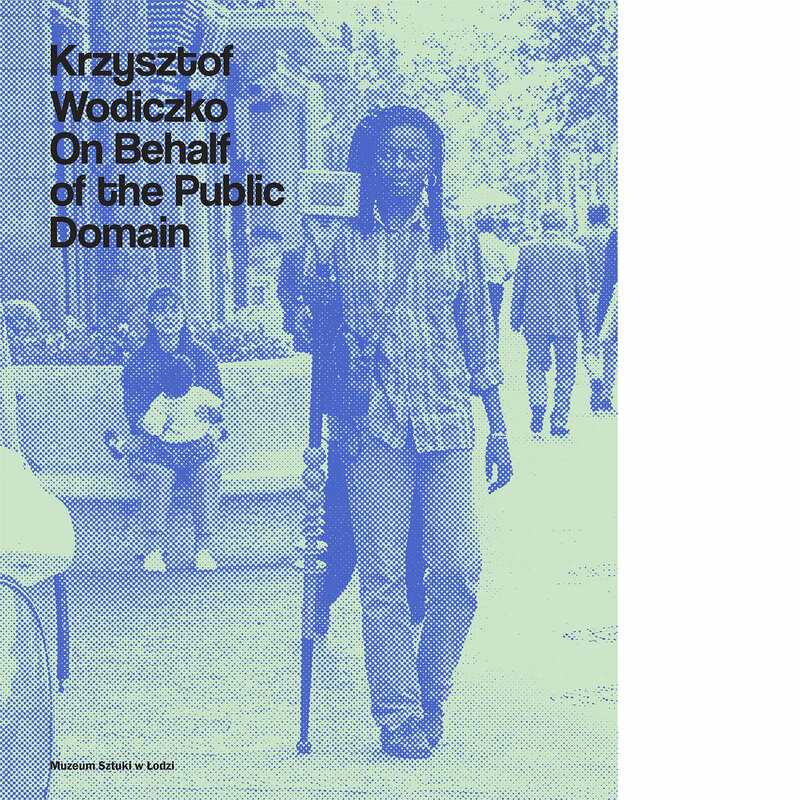 On Behalf of the Public Domain” is a retrospective presentation of the art practice of Krzysztof Wodiczko and a snapshot of his other activities focused on marginalised groups and democracy, including his anti-war projects. Critical and utopian dimension of his art is the subject of a long interview with the artist conducted by Bożena Czubak, which opens the catalogue. Broader context of his activities is discussed in texts written by eminent researchers of visual culture: Tom Eccles, Piotr Piotrowski, and Rosalyn Deutsche. Second part of the catalogue includes extensive documentation of the artist’s activities over the years 1968 - 2014. Here we can find the description and illustration of his major actions in the urban space, projects and realisations such as Vehicles and Instruments – starting from the early works involving radical analysis of the artistic language and the role of the artist, through pioneer activities in the field of public art up to anti-war projects from the recent years, which initiated the discussion on the need to negate warfare as a way of solving conflicts. Publication accompaning the exhibition: „Krzysztof Wodiczko. On Behalf of the Public Domain” which took place at Muzeum Sztuki in Łódź (26.06-13.09.2015).